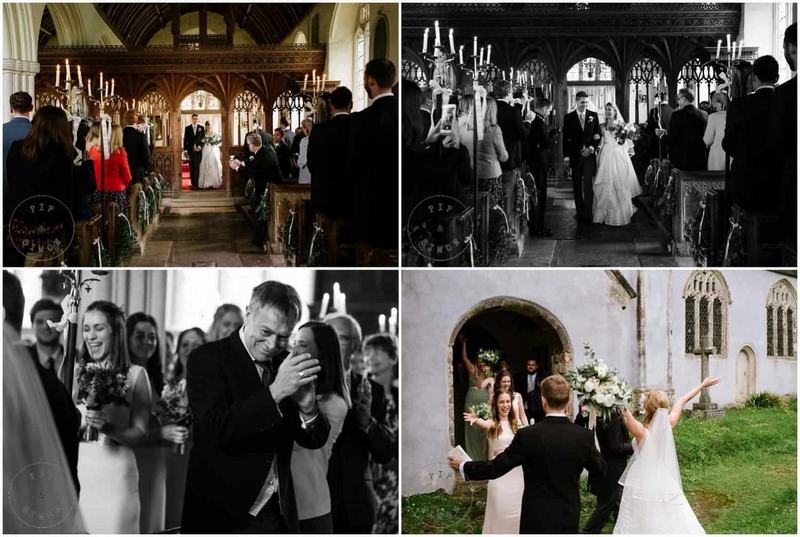 On the blog today is the wedding of Emma and Robin. 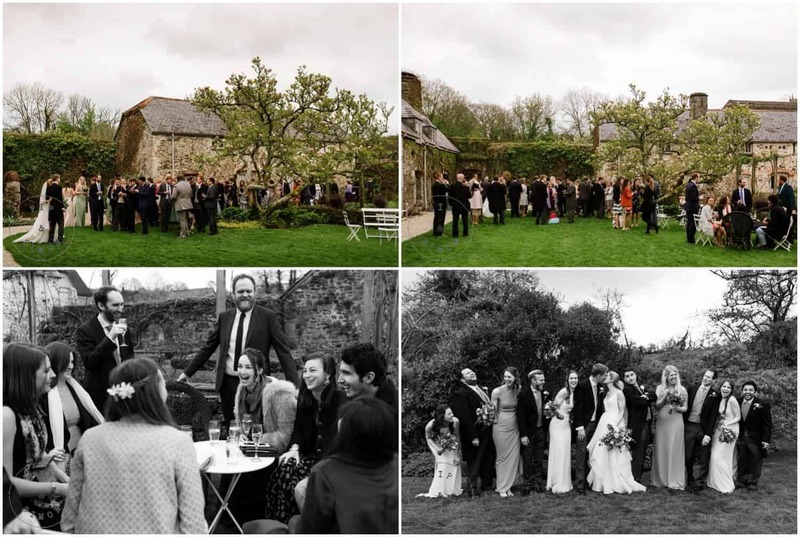 They were married in the spring at our local church St John the Baptist and then celebrated with friends, family and loved ones in our Great Barn. Robin and I met at university, in our final year. We were in South Africa for a friend’s wedding, and were spending time in Cape Town. With a group of friends, we’d decided to walk up Table Mountain and after a three-hour hike, Robin proposed at the top! There were a few reasons which made choosing The Great Barn a no-brainer… Firstly, John! His organisations skills are second to none. 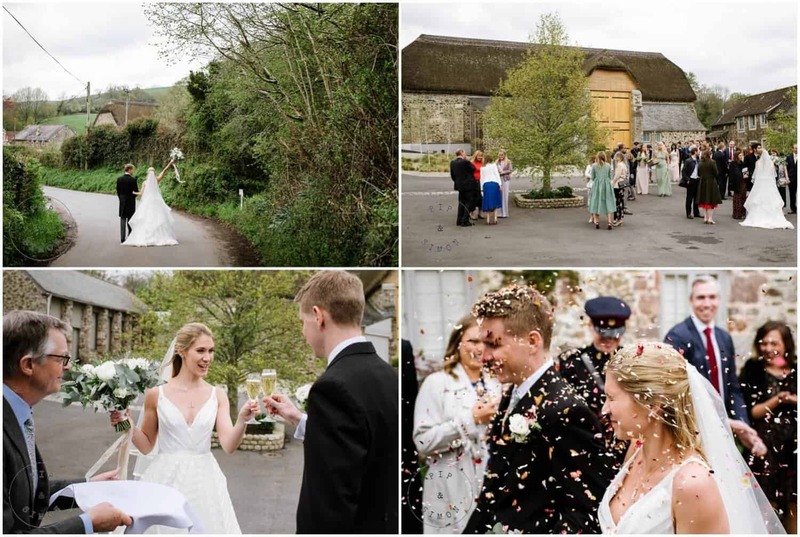 Being the only wedding that week – other venues gave us the feeling of being on a conveyer belt; no corkage and excellent caterers – booze and food were high on our priority list; only a short walk between the church and The Great Barn – we really wanted our celebration to be in one place. It wasn’t too formal. We’ve been together for a long time, so treated our wedding like a massive party. 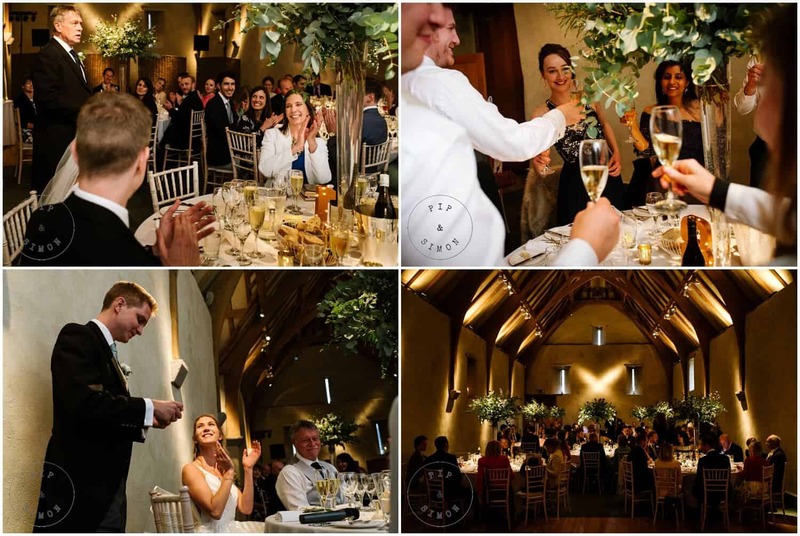 We wanted a venue that would reflect this, rather than feeling too formal or stuffy. My dress was Decklyn by Hayley Paige from Mirror Mirror in London, my veil was from Britten and my shoes were from LK Bennett. Wedding dress shopping was a bit of a struggle. Immediately I knew lace wasn’t for me, and that eliminated a huge number of dresses! We were also treating our wedding like a party, and I wanted a dress that would reflect the fun I knew we would have on the day. When I tried on Decklyn, I knew it was the one for me. It’s so unique, so not what anyone would have thought I would wear and so much fun. I would wear it again and again if I had the choice! Robin wore a rented morning suit from Moss Bros. His waistcoat and tie were from Charles Tyrwhitt. There were so many special highlights and moments from the day! Standing at the altar getting married was one; I’ve never felt so loved, cherished and content. It was truly magical. Other special moments/highlights include walking out of the church to The Lion King, Circle of Life. Robin was born in South Africa and we wanted to incorporate an African-ish element. We chose a version which had an extended opening, filled the church with speakers and made sure this was turned up loud! Only the wedding party knew we were going to play it, so there were quite a few surprised faces in the congregation! The speeches! My dad, Robin and the best men did a wonderful job. Having all of our favourite people all in one place. Scanning round the barn during dinner and seeing so many faces enjoying the food, the flowers and each other’s company was amazing. All our hard work definitely paid off! 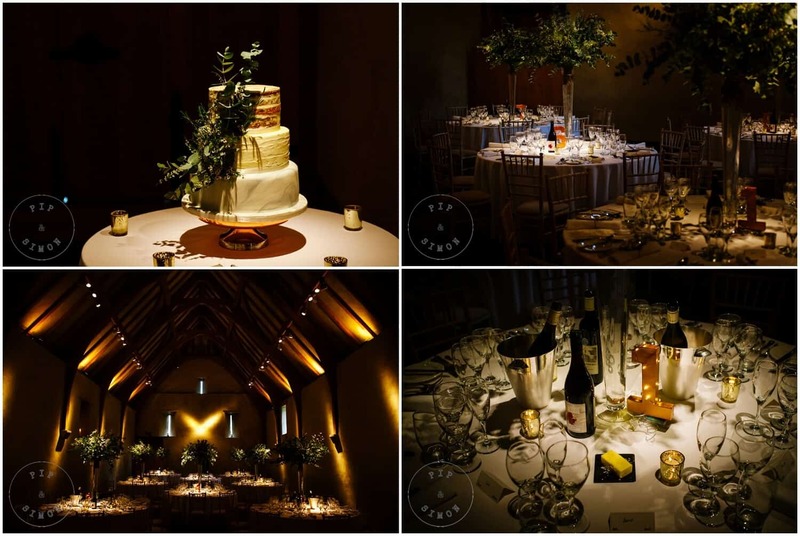 We would definitely recommend The Great Barn to other brides and grooms. Planning a wedding can be stressful, but John and Emma went above and beyond to ensure our day (and the days and weeks leading up to our wedding day) was as smooth as it could possibly be. It also goes without saying that The Great Barn and its grounds are stunning!